YouTube Banned My Channel Permanently! For being a Scam!!? 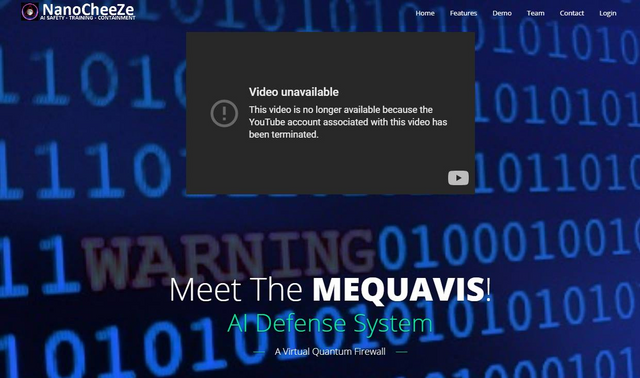 Only AI Defense Project in existence, but I'm a scam!!! 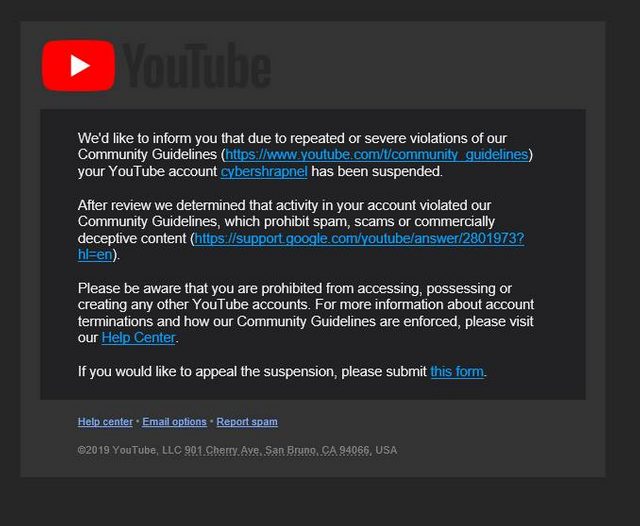 Youtube, or Google, just banned my Youtube account permanently and banned me from ever having another youtube account!!!! Reason: They think my NanoCheeZe Project is a scam or deceptive business practice!!! I have 3 problems with that! Google as an AI company just declared another AI startup, a potential competitor, a scam, and then removed their ability to have public discourse! No warnings, no discussion, no email, no phone call, no questions, nothing!!!! So my point being is that it feels very wrong that they can just declare me a bogus company and ban me from their platforms! These social media platforms needs to be regulated yesterday!!!!!! Seriously!!!! I knew when they banned Alex Jones, I literally knew they would come for me too eventually.... Me and my 106 subscribers lol.... JUST WOW!!!! I'm honestly blown away by this!!!!! It's a purge going on all round the damn planet. Good thing for BLOCKCHAIN TECH! I'm just irate that they would dare label my project a scam with no discussion or emails!!! Smells slanderous imho..... especially as an AI company damaging an AI startup like mine... WTF!?!?! I have had a lot of saved and liked videos taken down past years now. Mostly spiritual based and Occult. and I have never gotten any warnings or strikes, so I can only assume by this line that they take my so called "scam" as "severe"
Think they are coming from some Idiocracy. Their heads way up their asses hahah. Do you plan to appeal the suspension? It does offer that as an option.